I just finished this remarkable book by James Bradley, author of Flags of Our Fathers. It’s the true story of the events in the lives of a handful of very young flyboys (WWII pilots and airmen) in the waning days of WWII in their march toward Japan’s home islands; the prices paid and the lives forever lost or changed. One of those flyboys was a 19 year old future President of the United States, George H. W. Bush. Bush piloted one of four Grumman TBM Avenger aircraft from VT-51 that attacked the Japanese installations on Chichijima. His crew for the mission, which occurred on September 2, 1944, included Radioman Second Class John Delaney and Lieutenant Junior Grade William White. During their attack, the Avengers encountered intense anti-aircraft fire; Bush’s aircraft was hit by flak and his engine caught on fire. 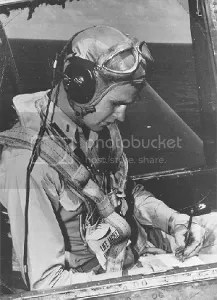 Despite his plane being on fire, Bush completed his attack and released bombs over his target, scoring several damaging hits. With his engine afire, Bush flew several miles from the island, where he and one other crew member on the TBM Avenger bailed out of the aircraft; the other man’s parachute did not open. It has not been determined which man bailed out with Bush as both Delaney and White were killed as a result of the battle. Bush waited for four hours in an inflated raft, while several fighters circled protectively overhead until he was rescued by the lifeguard submarine USS Finback. Future President Bush (41) flew 58 combat missions and received the Distinguished Flying Cross, three Air Medals, and a Presidential Unit Citation (U.S.S. San Jacinto). While you may not have agreed with his politics, you have to give the man credit for his remarkable bravery and dedication to duty. President Bush’s adventures were only a small part of this interesting book, yet an impressive part. The rest of the book tells the stories of the ordeals of other young flyboys who weren’t as fortunate as Lt. (jg) Bush. They were captured, systematically tortured, eventually executed, then suffered the ultimate indignity… they were butchered and eaten by a handful of sick, misguided Japanese officers. If you get the chance, read this sometimes horrifying account of what these young flyboys went through and didn’t survive. This book is a keeper. It’s a great read for anyone interested, as I am, in WWII history. 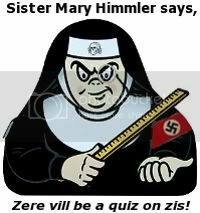 This review was originally published on my Nocturnal Slacker | Lockergnome blog. You can see it there by clicking HERE. 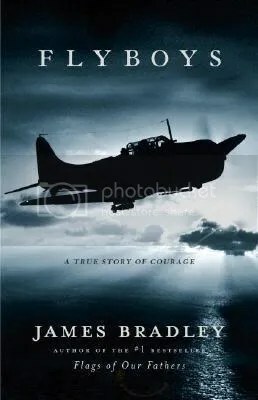 Posted by V. T. Eric Layton on 25 August 2011 in Books and Literature and tagged Flags of Our Fathers, Fly Boys, George H. W. Bush, history, James Bradley, Japanese, pilots, war in the Pacific, WWII.